This is the highest service award given to social workers or other clinicians from around the country. Christina was chosen from among many thousands of dedicated professionals. She will receive the award at the American Cancer Society’s National Leadership meeting in Atlanta, GA on January 15, 2015. As you know in addition to being our licensed clinical oncology social worker in the Bienes Cancer Center, Dr. Austin-Valere is a preceptor for future social workers, who are studying at Barry University. Christina worked on and help write our first Partners in Breast Health grant and also our colorectal cancer prevention educational grant. She has served as the President of the Florida Society of Oncology Social Workers and the National Association of Social Workers-Florida Chapter, and has served on the Boards of National Association of Social Workers and the Association of Oncology Social Work, as well as the Florida Division Board of Directors for the American Cancer Society among many other services she has and continues to provide! Please join me in congratulating Christina on this huge national honor and accurate reflection of the wonderful works she does for cancer patients here and throughout our community!!!! Below is the definition and explanation of the award. FSOSW Members, it's time to renew your membership. FSOSW has released the new member website where you will be able to access many benefits with your FSOSW membership. 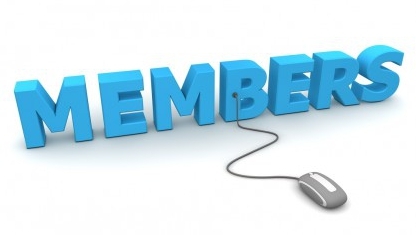 In order to renew your membership CLICK HERE or go to the Membership page from the menu at the top. Renewing your membership is easy. Select your membership level and click the Payment button. You will be directed to our credit card processing service, PayPal. You don't have to be a PayPal member to pay by credit card. Just select "Don't have a PayPal account" and pay by your choice of card. Once you have completed payment you will be directed back to the FSOSW website to complete your registration. 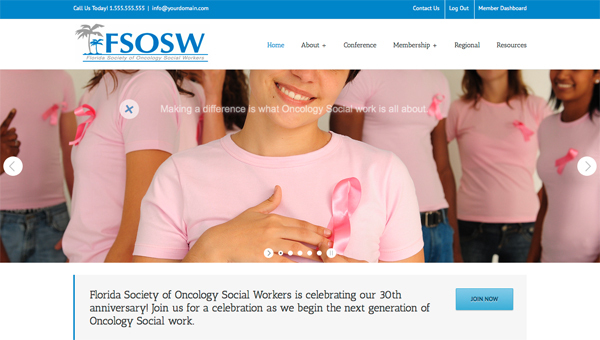 We are excited to announce that Florida Society of Oncology Social Workers (FSOSW) has launched its new membership site this January.